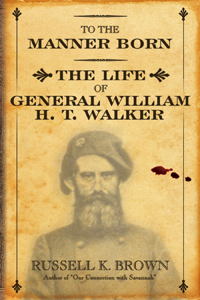 Making use of personal correspondence, official documents, contemporary newspaper articles and eye witness narratives, the book includes details of Walker’s formative years, family life, early military career, and Civil War experiences. This book is the first full-length objective study of the ill-fated Confederate general. W. H. T. Walker was a man of action, but he was also a man of strong likes and dislikes; of hot temper but of tender compassion. Known in his lifetime as “Old Shot Pouch” for his many war wounds, he has come down to us as the “Georgia Firebrand.” He could boast of his accomplishments, but he could be humbled by sorrow. He could appear reduced in integrity by his ambition, but he could be redeemed by service to his family or to his country. He held a philosophy of life that his contemporaries found admirable, however it might be judged by modern society. To dismiss him as merely a militant proslavery general is to do him an injustice. The evidence shows that he was that, but also much more. In the words of one reviewer, “This finely crafted book was long overdue.” Drawing on personal papers, official documents, and eyewitness accounts, Brown has written a biography of a Confederate general who also fought in the Seminole and Mexican wars, and who could be concerned with family decorum issues at home one moment and the next with battlefield strategies. Walker was a complex individual who was killed during the Atlanta campaign of 1864.